The history of the Tsinandali Estate, as one of the most important centers of cultural life in Georgia, extends more than two hundred years into the past. In the time of Alexander Chavchavadze it was a must destination for musicians, writers, poets and other prominent foreigners visiting Georgia, as well as for local public figures. Its cultural traditions are still upheld in our own day. Since 2007 the Tsinandali Estate has been under the patronage and care of the Silk Road Group. 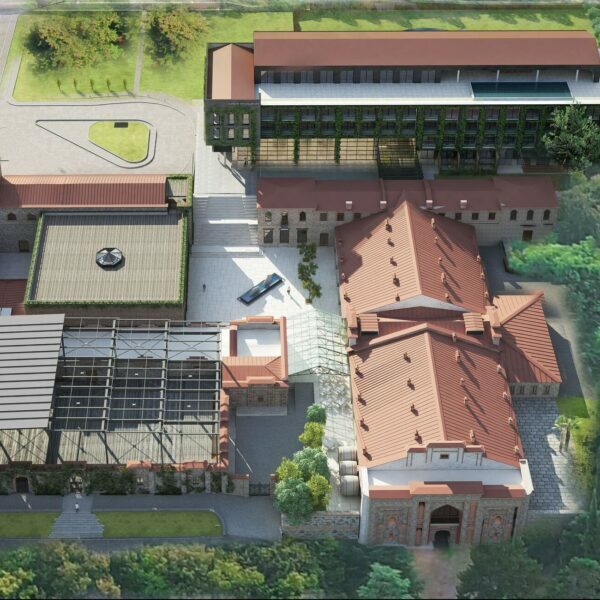 Over the last decades the Company has invested tens of millions of GEL in the rehabilitation and development of the historic site and its adjacent areas. 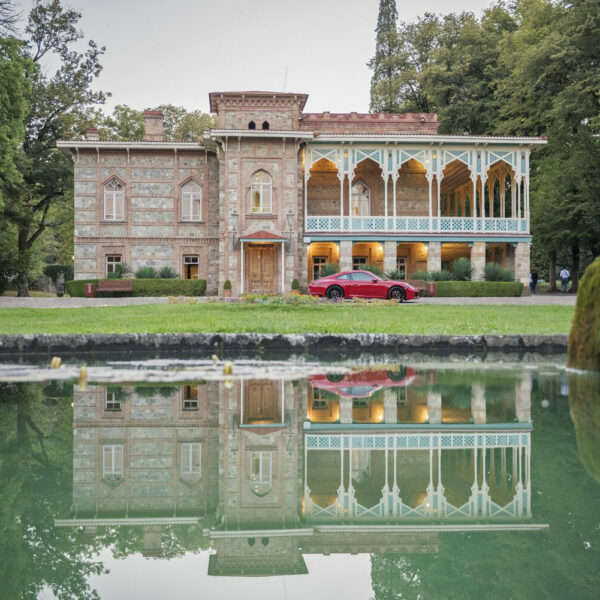 Thanks to the efforts of the Silk Road Group, the restored Alexander Chavchavadze Museum and its historic park continue to tell their story to contemporary and future generations of visitors. 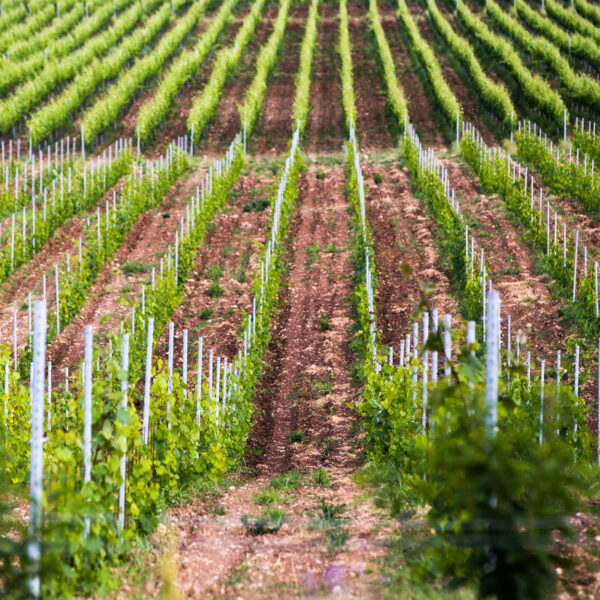 The historic vineyards of the Tsinandali Estate have seen major renovations in recent years, to ensure the preservation of Tsinandali’s legacy as the cradle of Georgia’s classical winemaking. The Tsinandali Estate is the cradle of classical winemaking in Georgia, as it was here that Georgian wine was first bottled. Saperavi of 1841 and other 19th century historic vintages are still preserved at the Princely Oenotheque. Under Prince Alexander Chavchavadze, the Tsinandali Estate on the one hand continued the 8000-year-old tradition of Georgian winemaking, while at the same time creating the standards of the modern technological approach. Today this noble tradition continues, with ancient qvevri and classical European winemaking coexisting. The unique vineyard is bordered by canyons and forests, creating a detached territory with superb terroir, which is planted with 11 Georgian vine species, namely: Saperavi, Rkatsiteli, Mtsvane, Kisi, Khikhvi, Usakhelouri, Alexandrouli, Mujuretuli, Tsolikouri, Tetra and Ojaleshi. Among the Tsinandali Estate’s distinguished wines, one can find classic, full-bodied Saperavi intended for extensive ageing, bold, Frisky Rose, the first European style white of Georgia, the Estate’s namesake – Tsinandali and traditional Kakhetian qvevri Rkatsiteli. 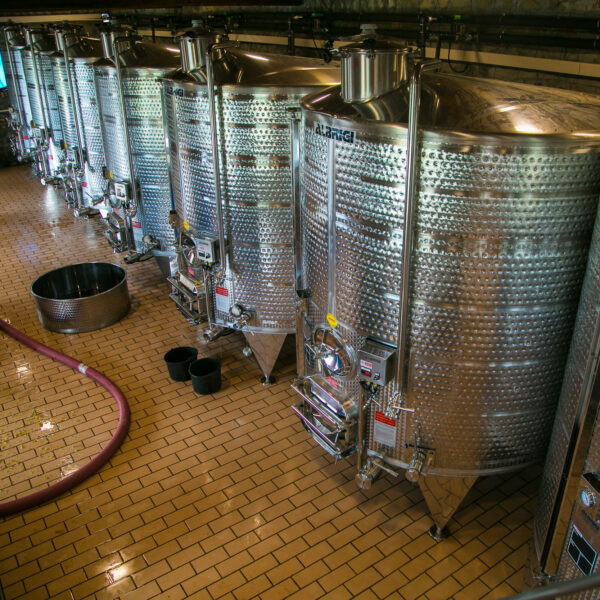 Everything the Tsinandali Estate utilizes to create its famous produce, be it Georgian Qvevri, French barriques or Italian machinery, is tailor-made for the Estate. The exquisite chacha distilling plant ensures a balance between the aroma and purity of genuine chacha. Alexander Chavchavadze was born in 1786. His legacy as the creator of modern Georgian winemaking lives on and the Tsinandali Estate still offers the best of Georgian wines. at all stages of planning, preparation and execution of the Tsinandali development program. each reflect one of the 4 seasons of Georgia, winter spring summer and autumn. The top floor is dedicated to our unique spa where one can step into our breathtaking spa with its infinity outdoor pool overlooking the Caucasus mountains where an incredible tailor made range of face and body treatments has been designed to transport you to another world. Oeno treatments’ specifically drawn for the spa will rejuvenate you to the fullest. This unique experience will inspire you and provide a sense of serenity. Our fully equipped gym, sauna or steam rooms will cater for all aspects of your wellbeing. 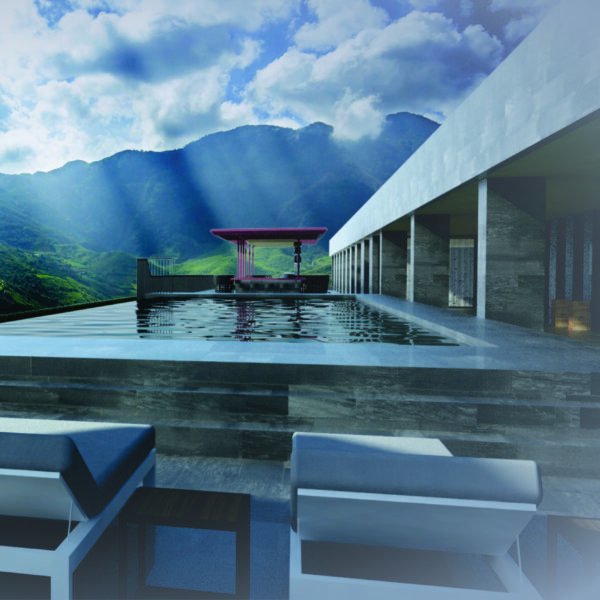 Or you could just relax and enjoy one of our rejuvenating drinks and enjoy the panoramic views of the region. As we transition you from the new to the old, the library bar is uniquely situated between both worlds offering a relaxed atmosphere where one can enjoy our wines, spectacular cocktails, mixed drinks with a twist or just relax and catch up with friends and family. Our all-day dining restaurant with its courtyard terrace and private rooms will offer you breakfast, lunch and dinner based on international cuisine created by our international chefs. Sourcing the finest local produce combined with an excellent selection of wines, will seduce the most exquisite pallet. 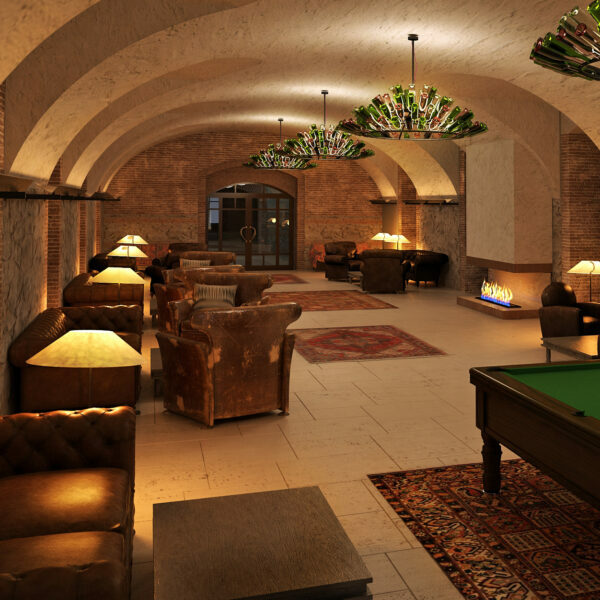 Instantly welcoming the French Bistro offers a relaxing sanctuary as part of the restored wine cellar buildings. Massive walls and arching ceilings achieve a historic atmosphere while friendly attentive staff anticipate your every need. Open every day it continues to exceed the expectations of its guests who can choose to sit inside or outside, enjoying our chefs inhouse creations, producing innovative, modern yet simple French cuisine. Committed to serving the finest local and seasonal produce, prepared in a stylish yet simple manner, his dishes and snacks will captivate your senses. We have created a unique vinotheque/ wine tasting bar, designed by Ingo Maurer, to be able to taste our locally produced Tsiandali estate wines. We offer our entire selection of wines which combines classic full bodied saperavi intended for extensive ageing, bold frisky Rose, the first European style white of Georgia, the estate’s name sake- Tsinandali and traditional Kakhetian quevri Rkatsiteli amongst others. gastronomy from the Kakheti region, served in a surprising venue located on the grounds of the estate, draped in history and visited by numerous iconic historical figures. The estate offers a spectacular open amphitheater with retractable roof, designed by Xavier Fabre, the founder of Fabre Speller Architects, who previously engineered such settings as the new Philharmonic of Paris and the Mariinskii Theater stage in St. Petersburg. The venue offers a seated capacity of up to 1200 persons and is modular to different events such as concerts, weddings, gala dinners, theater, opera, the list is endless. Additionally, to the amphitheater we offer meeting and events facilities in our meticulously restored historic buildings, ranging from 15 to 500 persons depending on your requirements and suitable for hosting boardroom meetings to stylish gala dinners or concerts. 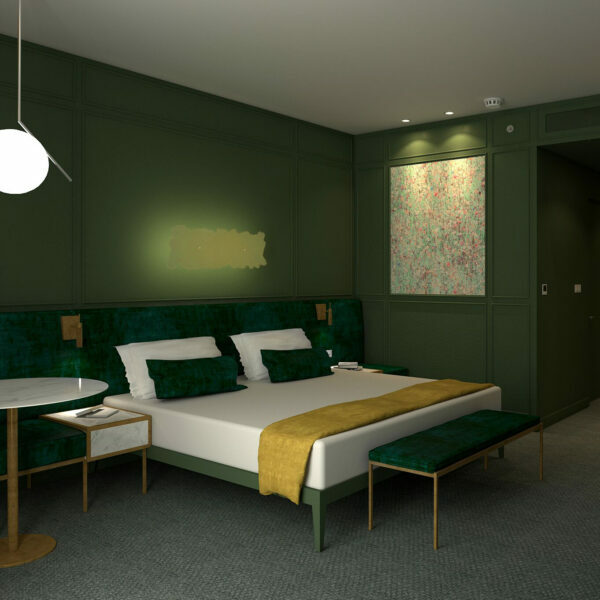 From July 2019, the Silk Road Group and private investors will provide a new Festival Hotel dedicated to the Tsinandali Festival participants during the festival period and hosting any other guests during the rest of the year. 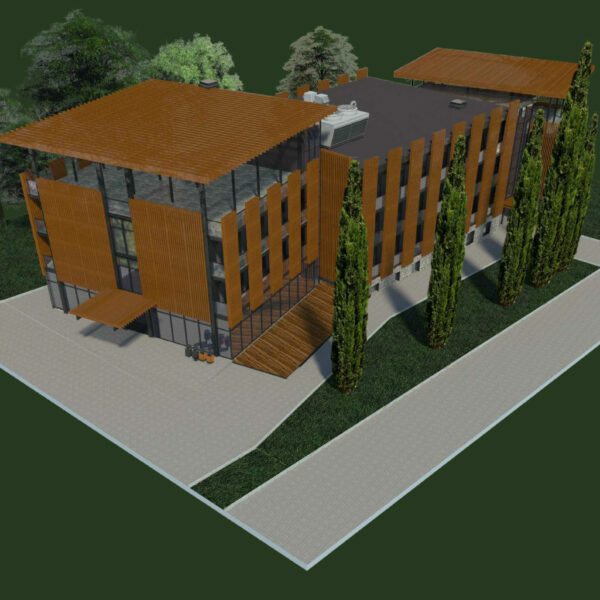 A 3-story building (plus basement) with 70 twin rooms (including 2 handicapped), roof open terraces on the second and third floors and the open-air car park area will be located immediately adjacent to the Tsinandali Estate and will provide accommodation for: the Verbier Festival Chamber Orchestra (VFCO), the Pan-Caucasian Youth Orchestra (PCYO) and Tsinandali Festival Academy (TFA) musicians; also for PCYO coaches and TFA professors. 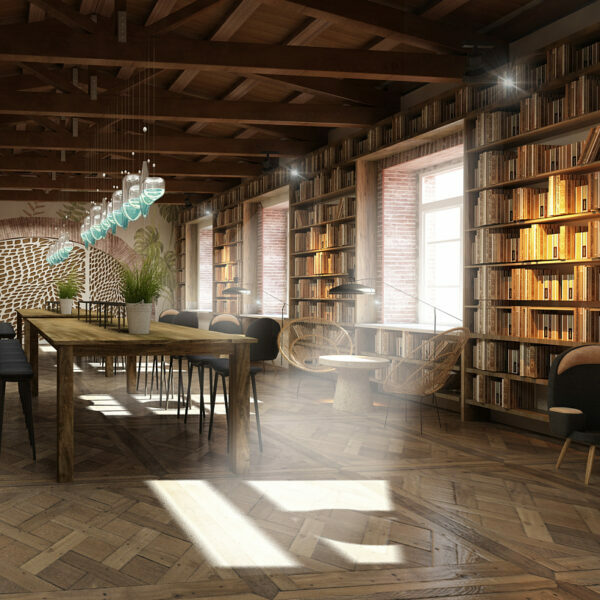 The basement of the Hotel will have the specifically designed and equipped infrastructure necessary for the festival: practice and rehearsal rooms intended both for individual instrumentalists and musical groups/ensembles; also the library and the canteen. 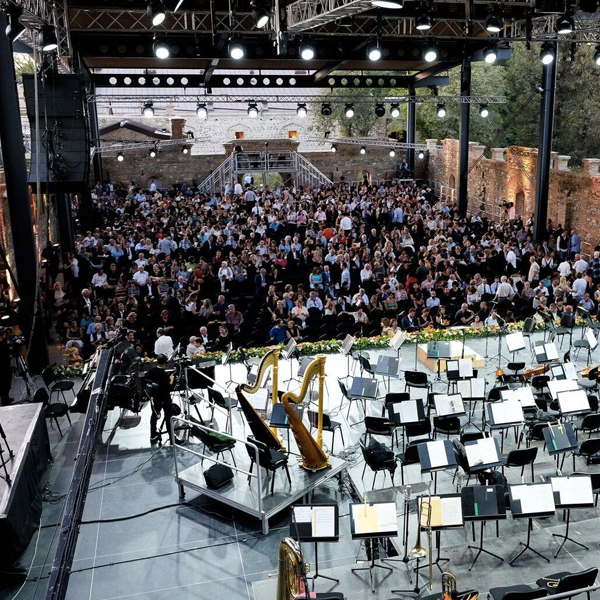 From August 16 to September 23, 2019, the Festival Hotel will be the venue where PCYO and TFA young musicians will be trained and taught by specially invited world-leading orchestra coaches and professors, respectively. 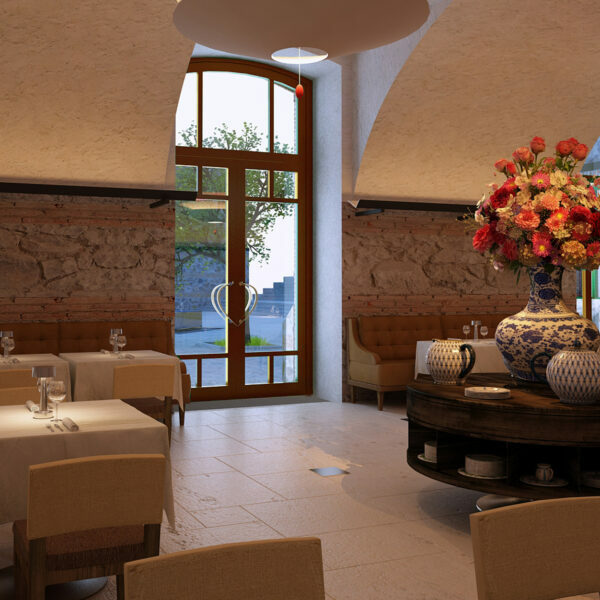 Interior design works are ongoing by the local interior design company Valishvili Architects LLC. 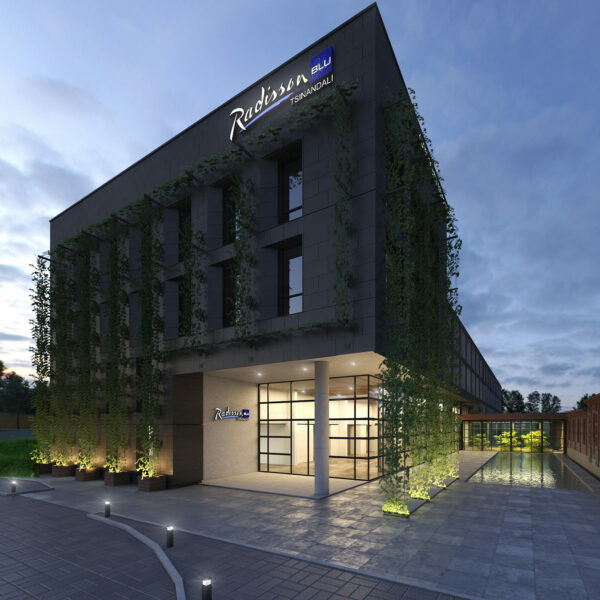 The hotel will receive the first guests in July 2019.